CareCredit healthcare credit card for cosmetic procedures is the credit card exclusively for your health and beauty needs. It's something you've always wanted to do, but something else was always there to hold you back. Well, not anymore! We accept CareCredit, the healthcare credit card designed specifically to help finance your health and beauty needs. CareCredit can help you move forward with getting the procedures you've always dreamed of with special financing on purchases of $200 or more. CareCredit is the credit card exclusively designed for healthcare services like cosmetic surgery or dermatology. Provided you have credit available, you can also use your card over and over for follow-up appointments or for different procedures. * Which means you don't have to put your health and beauty needs on hold until you save up enough money. Learn more visiting www.carecredit.com or asking us for details. 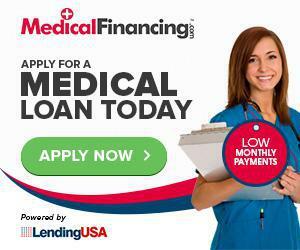 Lending USA can offer patients with as low as a 620 credit score a loan. We will take your information online and do a "soft" pull on your credit. What that means is while you are making arrangements to have surgery you can see if you qualify without compromising your credit score. We offer you 3-4 loans for you to choose from and you have 30 days choose one or none without harming your credit score. You also have the option with any of our loans to pay it off in full in 6 months with NO interest. That's right, NO INTEREST for 6 months if paid off in 6 months, even if you choose a loan with interest and a 48 month payment plan. Lending USA is a one time loan unlike any other.